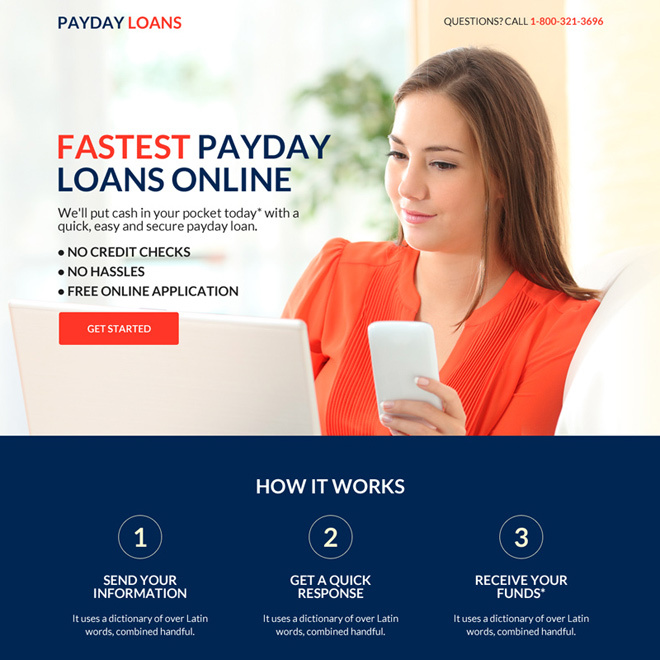 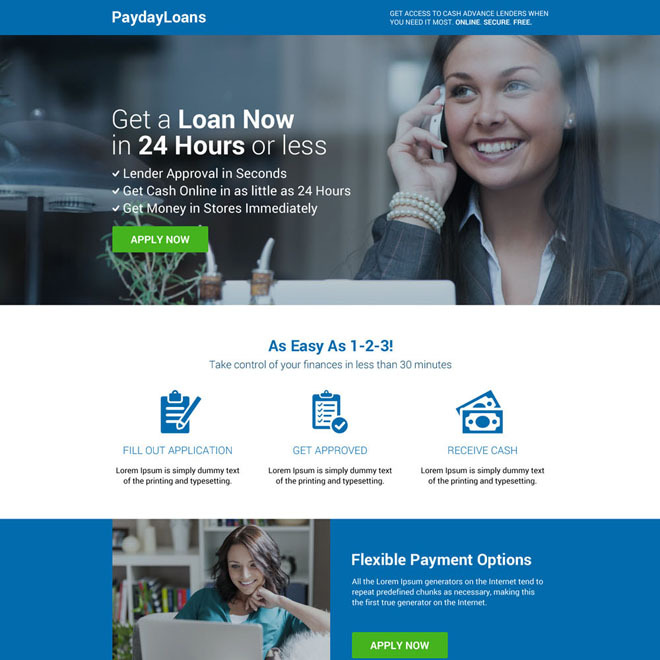 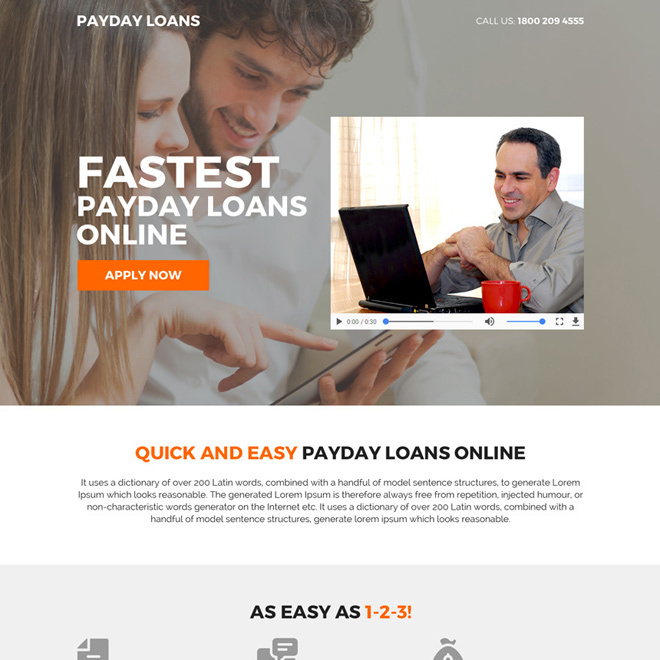 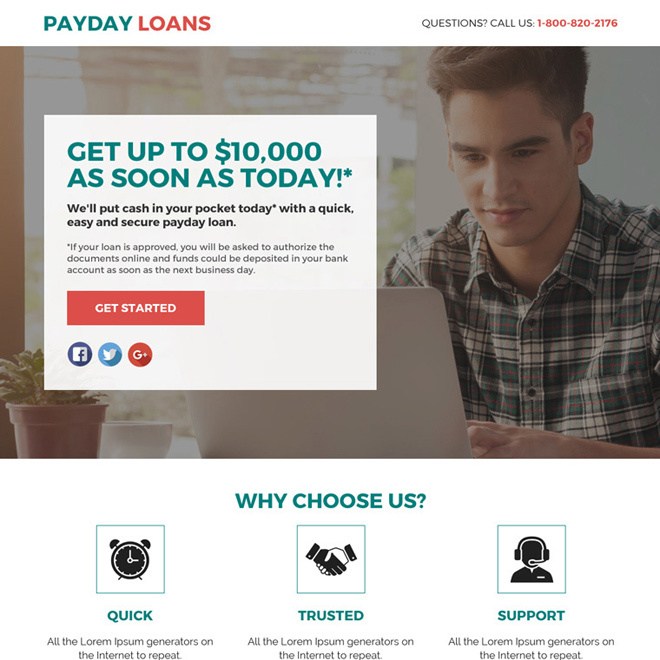 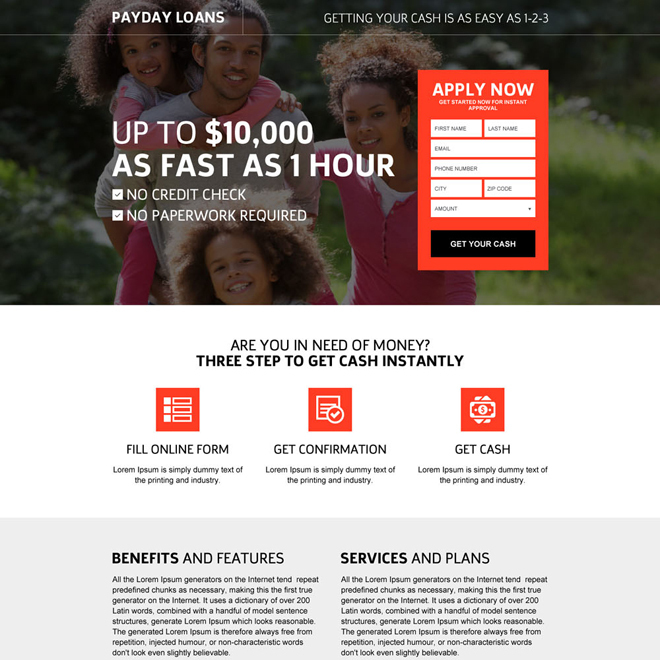 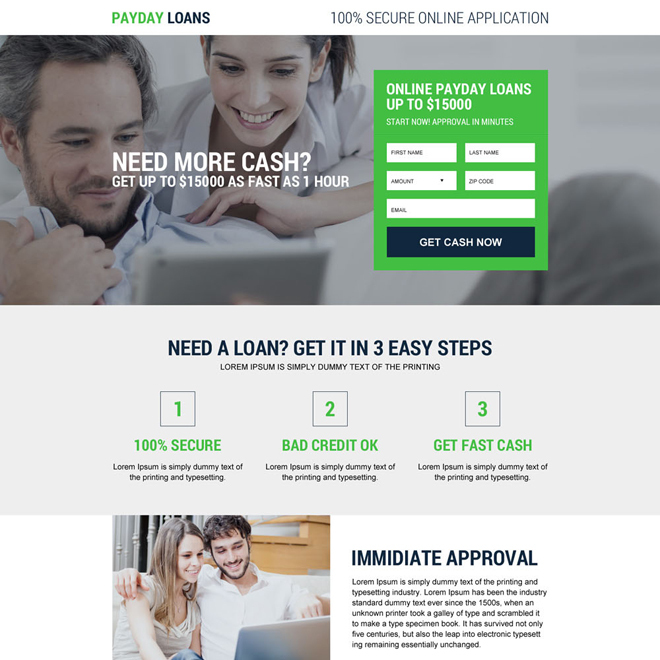 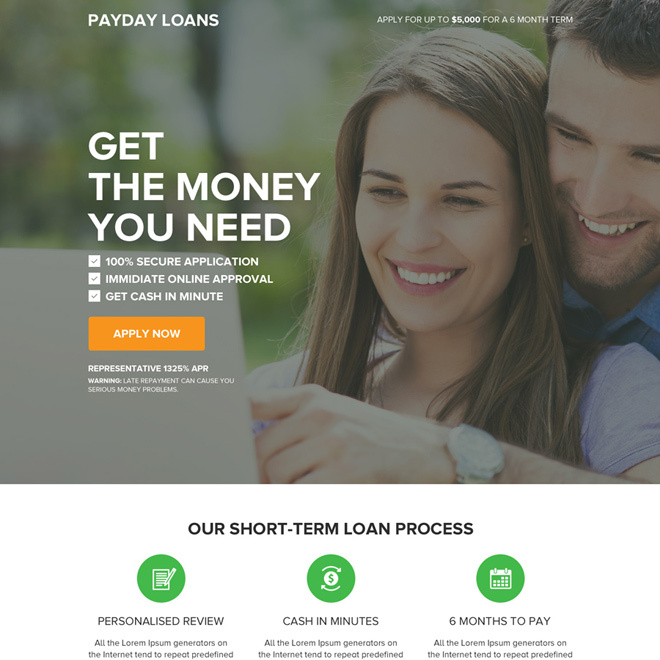 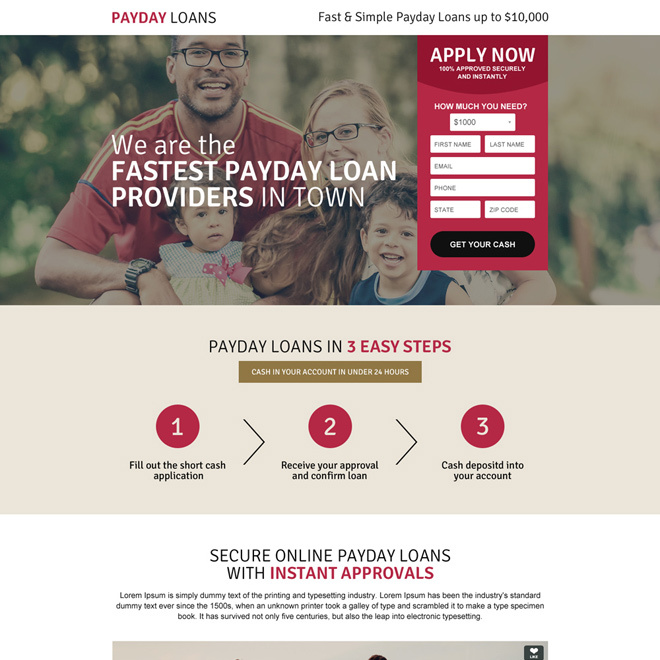 Boost your payday loan business website with quality traffic, leads and sales by using our creative, clean and flat responsive payday loan landing page design. 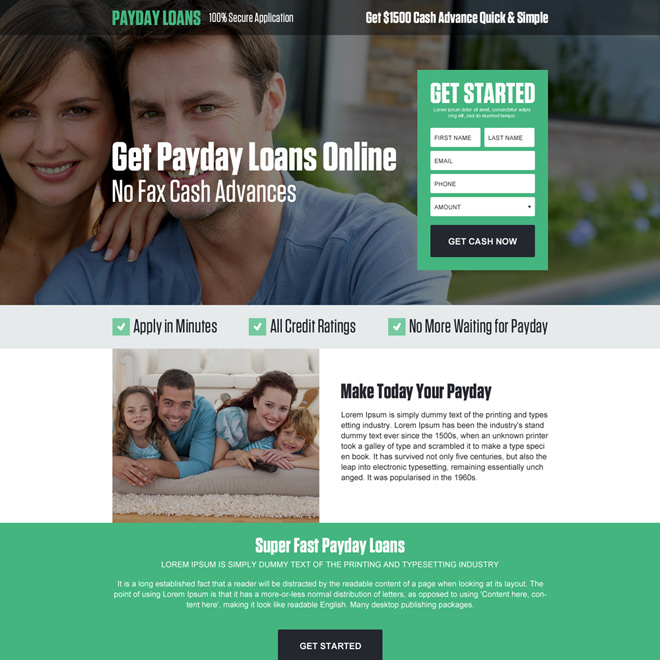 You can use our optimized responsive payday loan landing pages to capture leads and increase conversion. 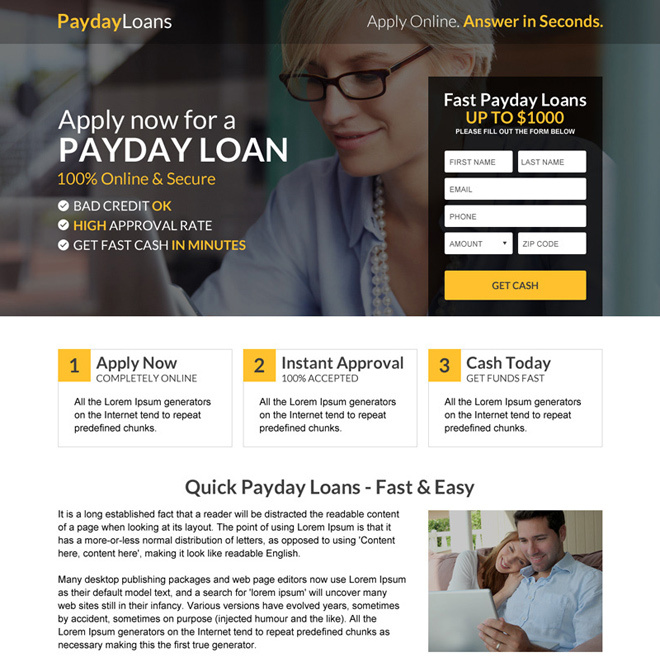 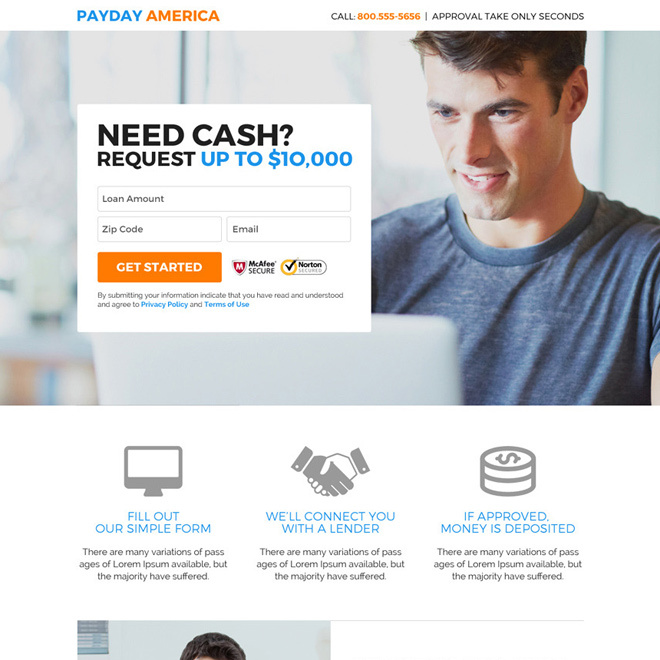 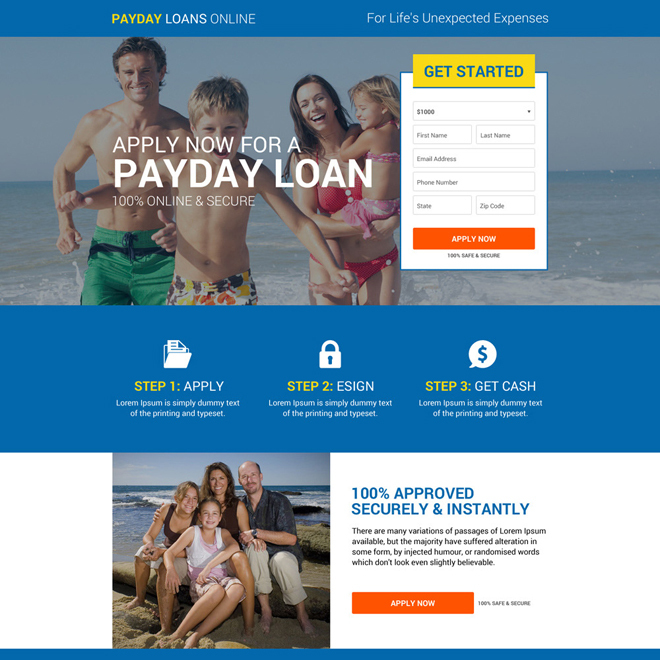 Use mobile responsive payday loan landing page design to get maximum result for you payday loan business marketing campaign.